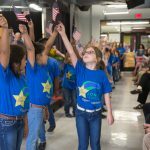 Arlington, Texas – May 31, 2017 – The Jones Academy of Fine Arts and Dual Language celebrated the completion of its building and the new outdoor performance area with a community event. 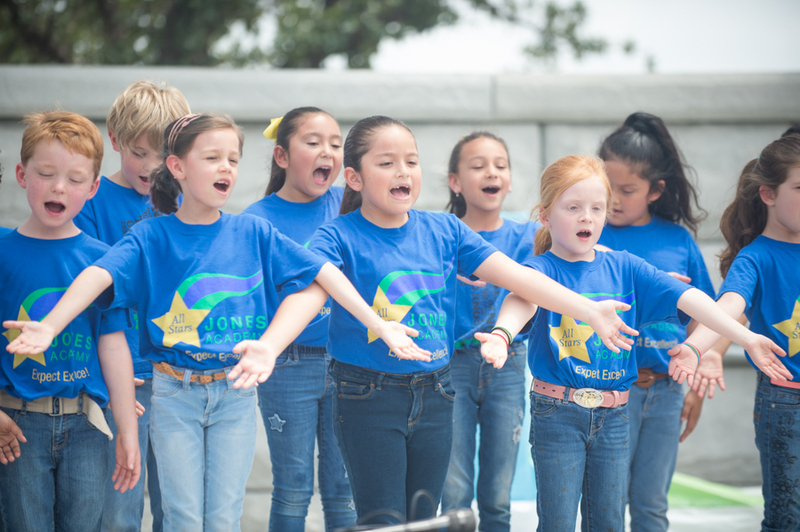 The outdoor performance area was generously funded through Texas Trust Credit Union’s Spirit Debit Reward program. 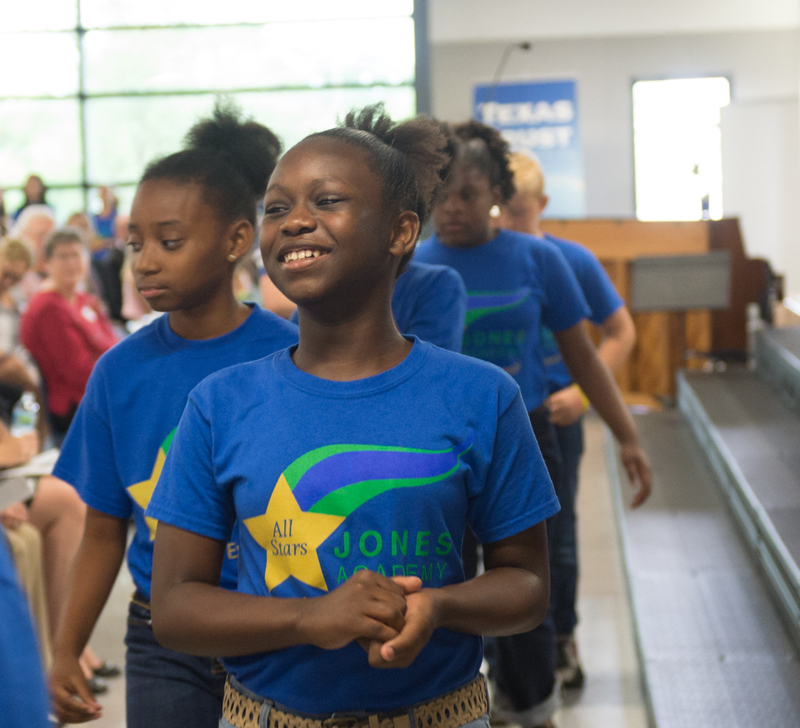 The Arlington ISD joined the popular program in December 2015. The district earns 10 cents each time a cardholder uses an Arlington ISD Spirit Debit Reward card. 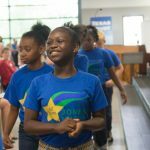 Initial proceeds from the program were designated to the Jones Academy. 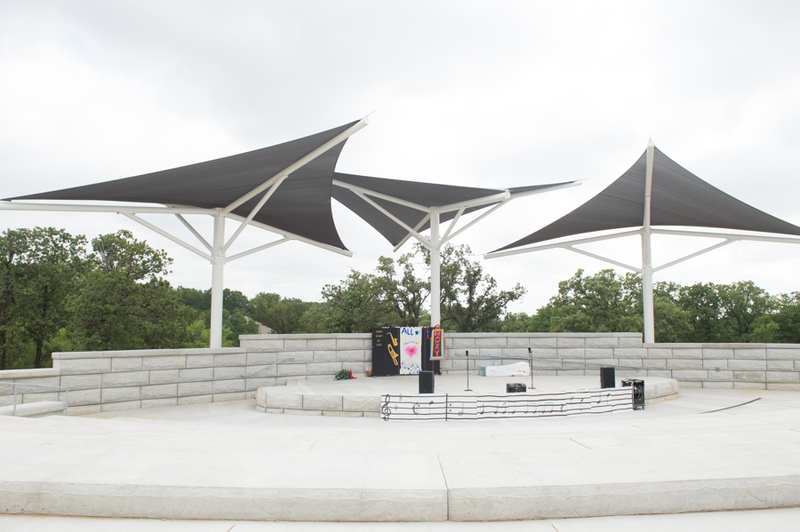 The outdoor performance area is nestled among trees and bushes in a park-like setting. 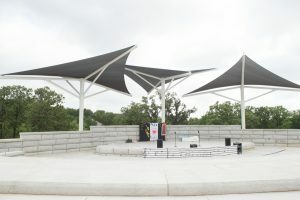 The raised stage is surrounded by a stone wall and topped by a trio of large canopies. The seating area offers tiered stone benches that can accommodate hundreds of guests. 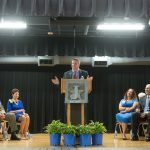 The outdoor performance area was designed to serve all students at the Jones Academy and throughout the district, offering another avenue to provide creative, arts-integrated learning opportunities for students. 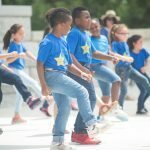 It will be used to bring learning to life through art, music, dance and theater. 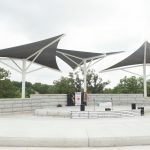 This is the first outdoor performance area within the Arlington Independent School District. 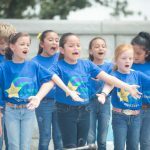 The Arlington ISD Spirit Debit Reward program includes six different Spirit cards, which are available to any current member of Texas Trust, or new members who open a checking account with the credit union. There is no fee for the Spirit Debit Reward card, and it can be used anywhere Mastercard is accepted. 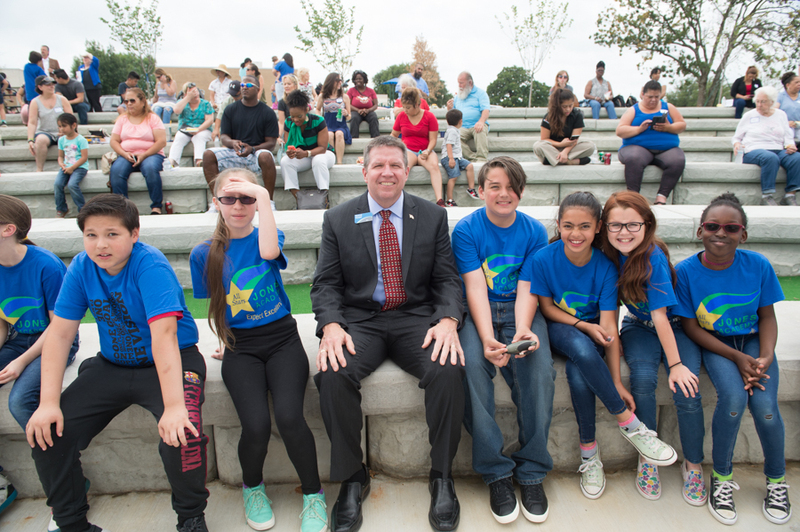 The new outdoor performance area was dedicated on May 27 during a community-wide event. 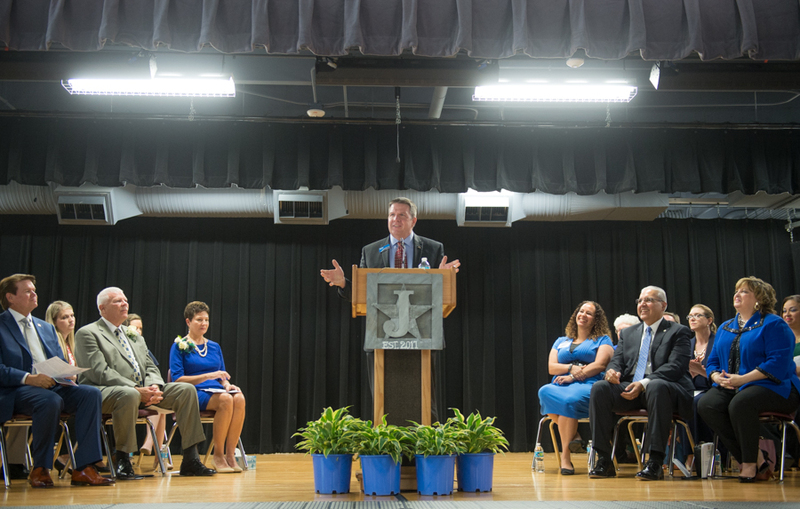 The outdoor performance area and school were dedicated in honor of Jimmy and Laura Jones, the school’s namesakes. 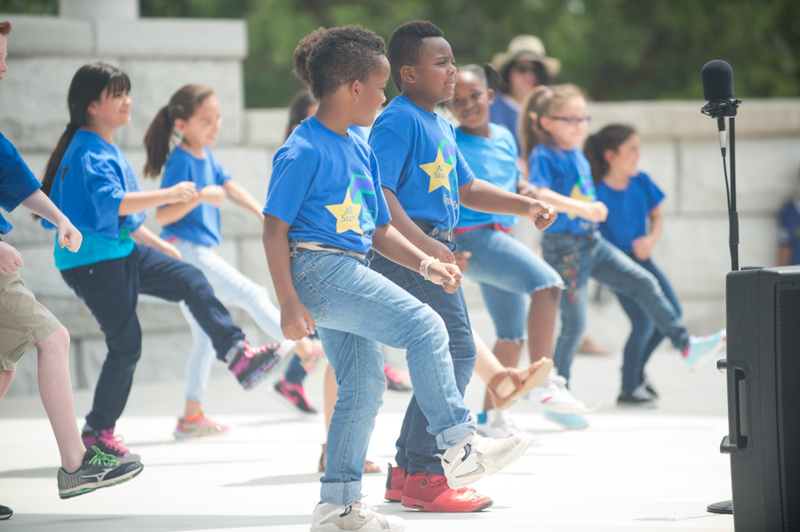 Children performing at the Jones Academy Outdoor Performing Arts Theater, courtesy of Texas Trust Credit Union. 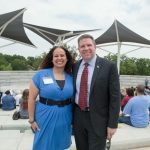 Principal of Jones Academy Katiuska Herrador pictured with president and CEO of Texas Trust Credit Union Jim Minge at the Jones Academy Outdoor Performing Arts Theater. 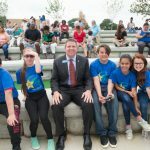 President and CEO of Texas Trust Credit Union Jim Minge pictured with students from Jones Academy in Arlington, Texas. 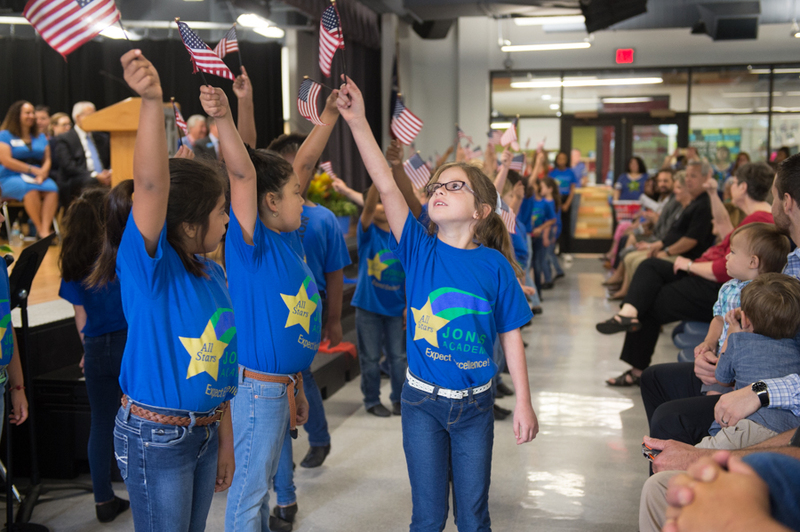 Children performing at Jones Academy in Arlington, Texas. 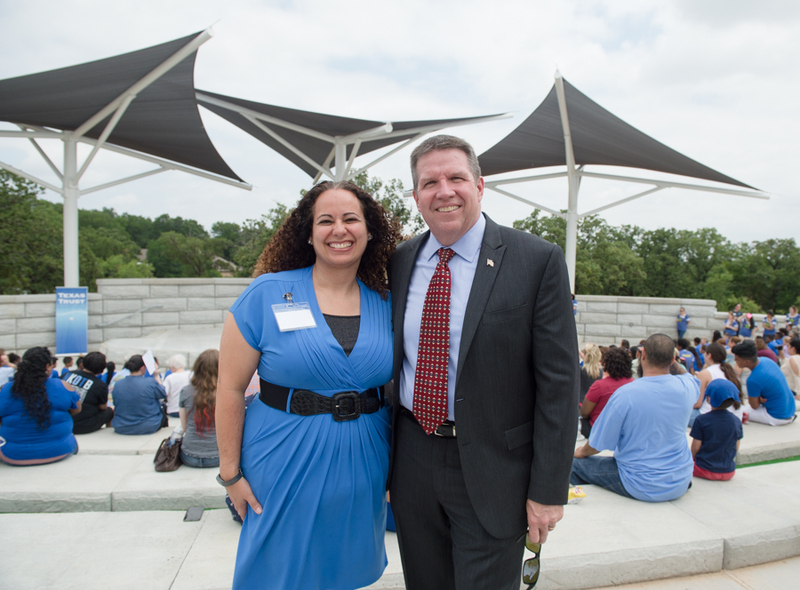 AISD’s new Jones Academy Outdoor Performing Arts Theater, made possible by Texas Trust Credit Union.